A friend posted a link to a NY Times article on what happens to pianos that are past their prime (pianos last about 80 years) or to those which people simply do not want or have room for. Some of these pianos are still playable, look and sound decent, yet they are shoved off trucks, smashing into piles of other discarded pianos. It makes me sad to see the article’s video because these smashed pianos not only represent the potential of those who could learn to play them but also the potential and the realized skill of the people who made them. The piano used to be a highly prized and revered possession. It was a status symbol, if not of direct wealth, at least of having the ability to provide some symbol of culture in the home. It was where I learned self-discipline and the triumph of skill mastery. Piano building is now a lost artform, its products smashed and relegated to dumps. Technology brings about a whole panoply of obsolescence. These discarded pianos are much like the people who are desperately searching for jobs in this terrible economy. Their skills are growing stale and obsolete because there are fewer jobs in which to use them. They are not needed right now. And going back to school for more training is not always an option. What does this comparison say about how we value people who are not given the chance to contribute in a meaningful way to society? “You are responsible for the talent that has been entrusted to you.” This is what I pinned from Pinterest this morning. I am finding myself on Pinterest more and more as it has been rough times for everyone these days it seems. There are shootings daily reported online and in the papers, and I find myself growing weary of thinking, “What if…?” What if these people had lived, had a chance to use their potential? What would the outcome have been? Those who like to play devil’s advocate would say maybe those people also had the potential to do harm. The issue is that we have been robbed of the chance to find out. I find that very very sad. The beautiful images and sayings on Pinterest are a comfort, but also a reminder to use your talents and to live your life the best way you can. As I finish one work contract and look for another, I think about the potential of people I’ve yet to meet and the lost potential of young friends killed in childhood. Never did get a chance to visit those children’s graves. Maybe now is the time as I meditate on where I will go from here and how I will use my own potential. I hope I still find a way to help people with their own careers. 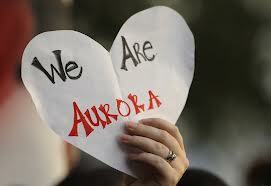 I think that is the best tribute I can give for those who are grieving today for lost loved ones in Aurora, Colorado.